First, I want to make sure everyone knows who Banksy is. He's a well-known street artist who was popularized in the aught years and has become a household name when it comes to street art. Here's a popular example of his work... and I know you've all seen it before! Well, Exit Through The Gift Shop is his documentary. 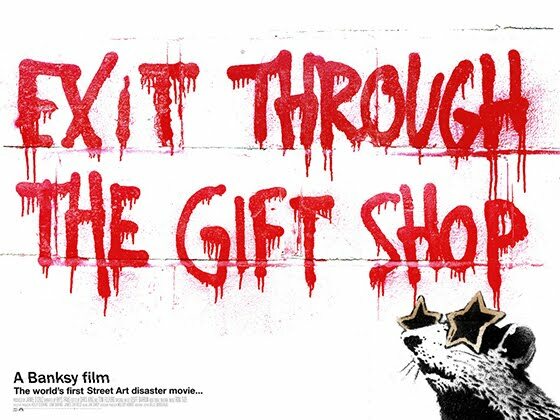 Not about Banksy, but about an eccentric French shop-keeper and amateur film-maker that followed street artists with his camera in the late 90s and early 00s, then gave Banksy the footage to create this amazing film. What was this eccentric man's name? Thierry Guetta (A.K.A. Mr. Brainwash). Okay, if you know the street art world, then you probably know Mr. Brainwash. And that's cool, because he's pretty popular. 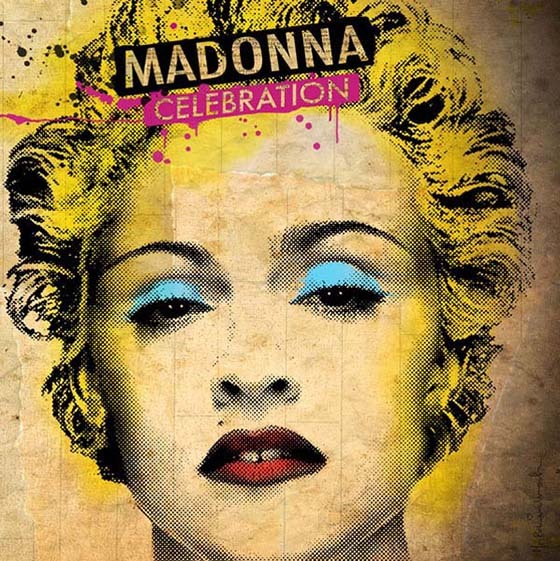 I mean, he did create Madonna's 2009 greatest hits album cover, Celebration! Anyway, my question after watching this film is this. Is Mr. Brainwash actually a True American Street Artist? 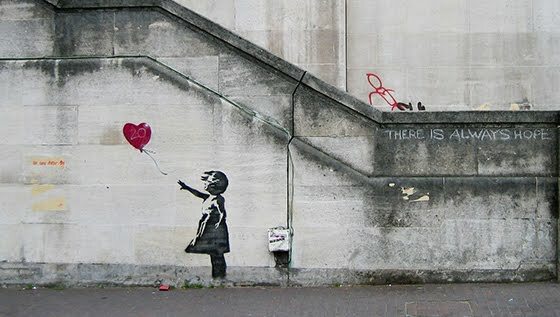 Or, did Banksy create this story as his own, personal, well-orchestrated piece of art? No, really, hear me out. After watching the documentary, then searching online, a lot of people think that Banksy created this character as a way to play a giant prank on the art world. To be honest, I don't know if this story is real or fake. But, I do like the idea that Banksy would go out of his way to create the artist Mr. Brainwash. I like the idea that he would ask Theirry to play along and start creating his own street art that replicates the style of all the artists he followed for years. I like the idea that he would have Thierry open up a gallery, not long after Banksy's first LA appearance, and make it as big and grandiose as art-worldly possible! And I love the idea that all of this was done under the ruse of Banksy himself. But is it fake? I don't know. I mean, all Mr. Brainwash did was take images from pop culture, scan them in, then manipulate them. Best of all, he didn't even do it himself. He had a huge staff, some of which use to work for Banksy, that did most of the work for him. All Mr. Brainwash did was tell them what to change/add to the images. 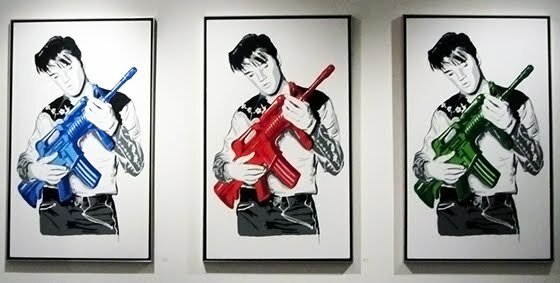 For instance, he had a designer take a scan of Elvis and replace the guitar with a Fisher Price gun using PhotoShop. He didn't even do it himself. He just told someone to do it. Sure, it was his idea to do that, but, he wasn't the person who actually did it! Anyway, I don't know if this film is a fake, or an amazing documentary of the advent of street art as we know it. But, either way, I do suggest watching it on Netflix while it's still available. It's definitely something fun to watch that'll give you a quick glimpse at the art world we live in. Even if art isn't something you particularly enjoy on a regular basis. Cheers!